The Common Ground's Opening Ceremony will be on 2nd March, 6pm at 16 Arumugam Road, LTC Building D #01-03. 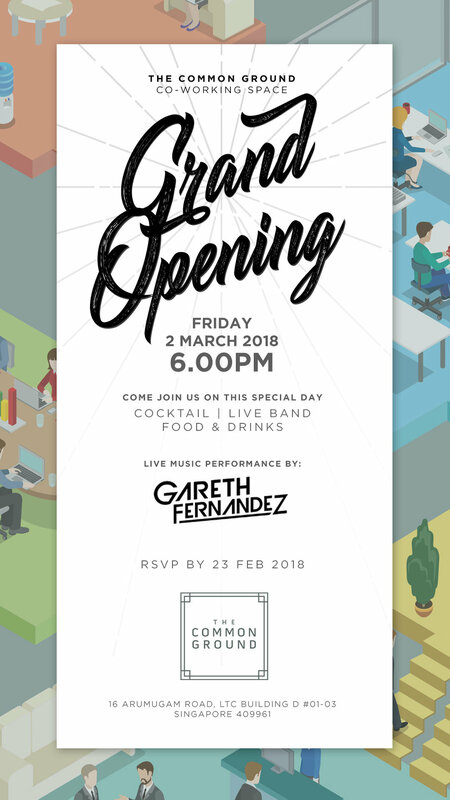 Come join us to celebrate our opening with an eventful night of good food and great company! Please RSVP below and we look forward to meeting you then! Are you bringing any other guests too? if so, how many? We look forward to seeing you on the 2nd of March (Friday) at 6pm!